Qatar Airways’ CEO, Akbar Al Baker, has said his airline is looking to invest in foreign carriers, with particular emphasis on the European market, renewing hopes of a possible partnership with either Adria Airways or Croatia Airlines. The announcement came less than two months after the Slovenian President, Borut Pahor, urged the Qatari national carrier to buy a share in Adria Airways, which is up for privatisation this year. Speaking on the sidelines of the International Tourism Fair in Berlin last week, Mr. Al Baker said, “We will look at other acquisitions of airlines but we look at airlines that don’t take the resources of Qatar, or attention of Qatar management, to fix issues. We will always go after goldsmiths, not scrap dealers”, Mr. Baker said. He added, “Qatar wants to invest in airlines where it can get synergies, and benefit from joint purchases of aircraft, ground handling and repairs”. 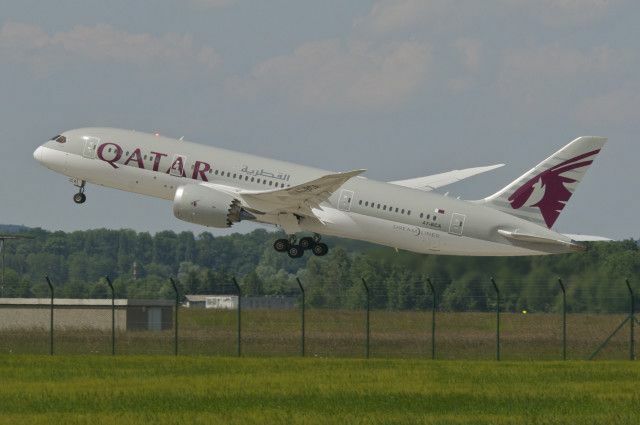 The Slovenian State Secretary at the Ministry for Economic Development and Technology, Ales Cantarutt, said in January, following talks between the Slovenian President and the Emir of Qatar, that “the idea was raised for Qatar to invest in Adria Airways”. Citing Etihad Airways’ 49% stake in Air Serbia, the State Secretary noted, “I don’t see why Qatar Airways would not do the same. We want Qatar Airways to invest in Adria in line with European Union legislation”. EU laws allow foreign investors to own no more than 49% of its carriers. The Slovenian government is seeking to sell up to 91.6% of its shares in Adria. The country’s former President, Danilo Turk, initially proposed for Qatar Airways to invest in the Slovenian carrier back in 2009. A year later, Mr. Al Baker ruled out a possible acquisition following talks with Adria’s management, noting that Qatar will instead focus on organic growth. Adria Airways has not posted its financial results for last year but is believed to have recorded a break even result, while it plans to end 2015 with a profit. Previously, Qatar Airways’ CEO said, “I am very conservative. We would be interested to buy a going concern that is profitable and doesn’t need our management time. But I’m not interested in an airline that is in financial trouble and needs restructuring. This would mean I use my management resources to rescue somebody else and lose focus on my own business. My priority as a CEO is Qatar Airways, not somebody else”. He added, “Qatar would also consider an airline that has big potential and a solid management structure, but needs a strong partner like us to take an equity share”. Qatar Airways bought a 9.9% stake in International Consolidated Airlines Group (IAG), the owner of British Airways and Iberia, in January. Qatar Airways has also been viewed as a potential investor in Croatia Airlines, which in 2014 turned a profit of 921.000 euros. The carrier is also in its last year of restructuring. Qatar Airways’ CEO has acknowledged his airline was offered stakes in both Olympic and Jat Airways but passed up the opportunity due to the poor state the two fledgling airlines were in. Qatar Airways has a limited presence in the former Yugoslavia with five weekly flights to both Zagreb and Belgrade. In addition to its 49% stake in Air Serbia, Qatar’s fierce rival Eithad is set to sign a strategic partnership agreement with Montenegro Airlines this summer.